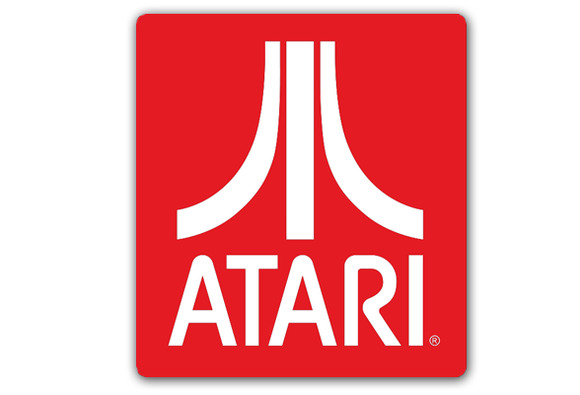 Former Atari Interactive CEO Frédéric Chesnais has decided to take a 25.23 percent stake in the company in a bid to save it from bankruptcy, Atari announced on Tuesday. He will pay principle shareholder BlueBay just €400 for 7,451,122 Atari shares, and for mandatory convertible bonds that give him access to another 5,528,736 shares. Given the urgency of the situation, Chesnais’ investment company Ker Ventures also agreed to grant a €250,000 short term cash financing to European parent company Atari SA, without waiting for the completion of the transaction, and to postpone interest due on the bonds until the end of September, the company said. The iconic game company filed for bankruptcy protection in the U.S. in January in an effort to separate operations from parent company Atari SA, which is based in France and has also filed for bankruptcy protection. Atari had to file for bankruptcy protection because it was unable to find a replacement for BlueBay, its principal shareholder, which announced its intention to sell its shares in the company in 2010. Besides backing from Ker Ventures, Atari also received an investment from the Alden Fund, a group that specializes in turning around companies. Alden will acquire a €21 million company loan to Atari from BlueBay. The Alden Fund also made available cash financing of $5 million to the Atari group’s U.S. subsidiaries, Atari Inc., Atari Interactive Inc., California US Holding, Inc. and Humongous, Inc.
An initial loan of $2 million has already been made available to the U.S. subsidiaries, Atari said. The remaining $3 million will be available to the subsidiaries under additional conditions including the entry of a final order at a court hearing to be held on Feb. 14, it added. “It’s quite good news for Atari that new shareholders can be found,” a company spokesman said. But the situation remains very difficult for the company because of the Chapter 11 bankruptcy protection filing in the U.S., he added. “The judge in the U.S. will play a very important role in the future of the company,” he said. Chesnais was appointed to the position of CEO of Atari SA for a nominal compensation of €1,000 a month payable at the termination of the U.S. bankruptcy procedure. Upon closing of the transaction of the share capital, the Board has resolved to elect Chesnais as Chairman, the company said. Chesnais is a Frenchman living in New York who has a strong background in the videogame industry. He was the CEO of Atari Interactive, as well as the CFO and Deputy Operating Officer for the Atari Group, where he helped create and launch many games. “I made this move because I love the team, I know about games, I love the brand and in the past we have all spent nights and days to make it shine,” Chesnais said in a statement, adding that he didn’t hesitate for one second when he heard the bad news. He plans to work hard to seek the financing needed for Atari: “I am just given a few weeks to put the Company back on track and I have to give it a try,” he said. He will replace Jim Wilson, who was named CEO of Atari SA following BlueBay’s announcement of its intention to sell its shares. Wilson, however, will continue his role as CEO of Atari Inc., a position he has held since 2008, in order to concentrate on the U.S. bankruptcy protection procedure and running the day-to-day business.